Cook N Home Stainless Steel Canister and Spice 8 Piece Jar Set Only $33.99 Shipped! Organize your pasta, beans, spices and more with the Cook N Home Stainless Steel Canister and Spice Jar Set, 8-Piece set – only $33.99 shipped! Regularly priced at $39.99, you can save 15%!! 8-Piece stainless steel glass canister and spice jar set, include following most common used size, 27-ounce (800ml), 40-ounce (1.2-liter), 54-ounce (1.6-liter), 74-ounce (2.2-liter) and spice jar 4-piece each 5-ounce (150ml). Click here to shop and save today! Amazon prices can change at any time. Please verify price before ordering! HOT Kitchen Accessories Clearance – Prices Start at Just $2.75! Update the kitchen with the fresh and modern accessories you’ve been looking for! Designed with quality and passion, these bar cloths and microfiber towels are super absorbent and soak up liquid with the ease and speed of a sponge. 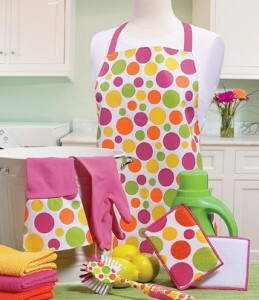 Also on offer is a range of drying mats, microfiber sponges, waterproof aprons and so much more to help you with each and every kitchen cleanup! Prices start at just $2.75 – so stock up today while supplies last! Think Gifts on this super sale! Click here to view the entire sale selection!